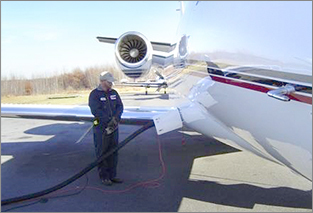 Lawrence Jet Center is the only facility with full service capabilities at the Lawrence Municipal Airport. We endeavor to make your visit stress-free and comfortable for both pilots and passengers and we are easier, lower cost and more convenient than using a Massport Authority airport. We stand ready to welcome our customers with the highest quality service available. The only private, 50,000 ft² ramp with security cameras to keep aircraft safe. Friendly service team with links into local area services. Need a suggestion or local recommendation? Lawrence Jet Center is a proud member of NBAA and NATA.